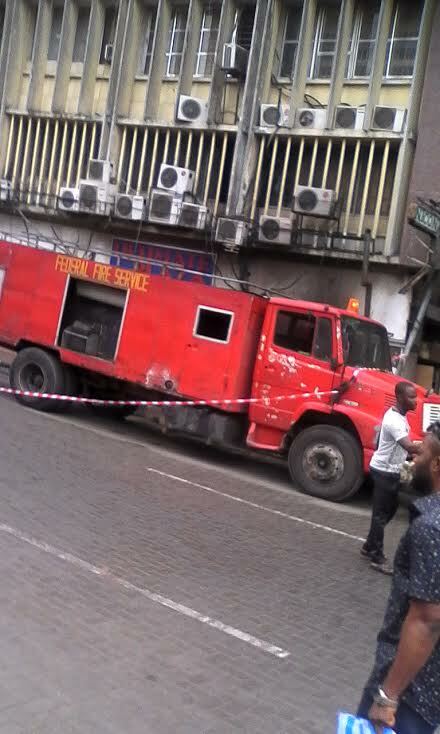 There was a fire incident this morning at Broad Street Lagos today. 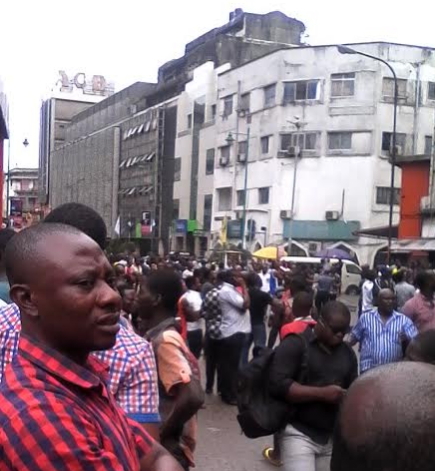 A three storey building occupied by traders near Mandalas was on fire this morning, the traders were seen carrying their goods out from the building before the Lagos state fire service intervened and put off the fire, the traders were thanking God that it happened in the day if not they would lost everything from the fire and looters. 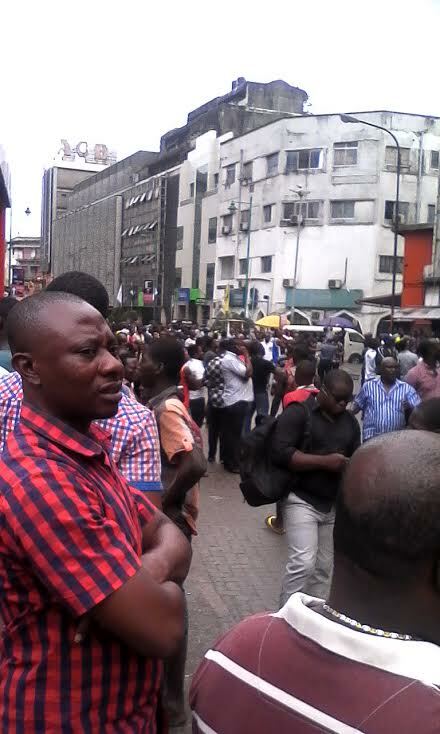 The building occupied by traders was deserted immediately they saw smoke coming out from the second floor. Thankfully no lives were lost. we really thank God that know life lost. 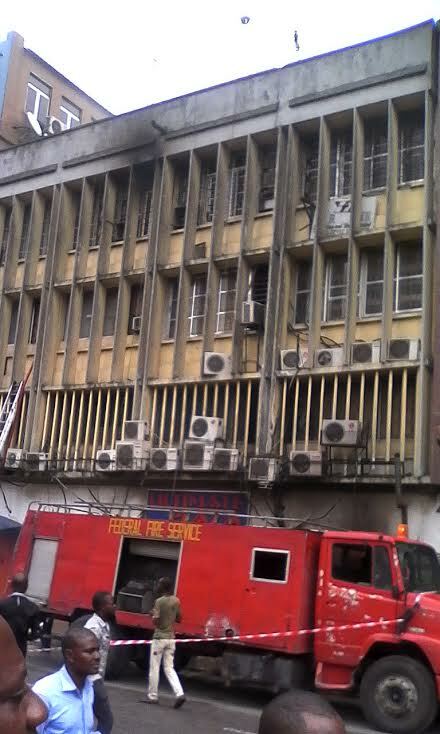 but my special thanks go to Union back fire services if not for them the 3rd floor of the building may be collapse . we really thank God that know life lost. but my special thanks go to Union back fire service if not them the building may be collapse but thank God is the only 3rd floor it affect most.